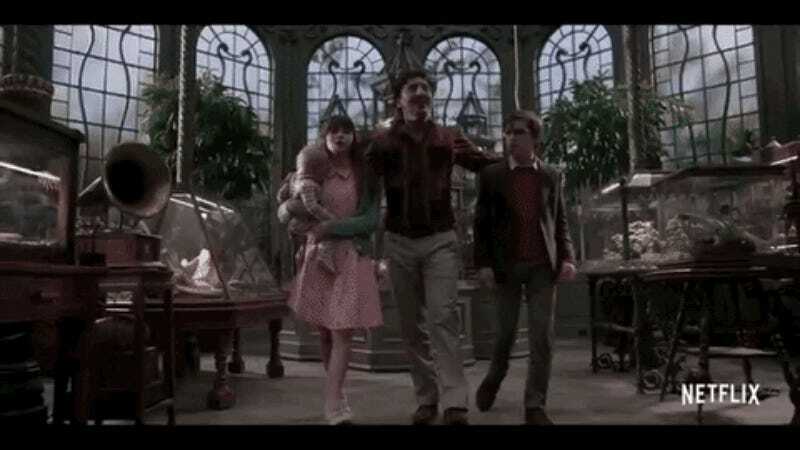 “If you are interested in stories with happy endings, that story is streaming elsewhere,” warns Lemony Snicket (Patrick Warburton) at the start of this latest trailer for Netflix’s A Series of Unfortunate Events. As we’ve seen previously, Neil Patrick Harris’ performance as the evil, disguise-prone Count Olaf is clearly going to be a series highlight. But as this new trailer really shows, the rest of the elements look just perfect, too: the kids, the deadpan humor, the supporting characters (just look at Don Johnson! ), the unique blend of whimsy and menace. All episodes of Lemony Snicket’s A Series of Unfortunate Events debut January 13 on Netflix.